Buckingham County combines exceptional planned residential and business development that ensures a high quality of life to its residents with it’s natural pristine rural beauty. Whether you are looking to relocate, open a business, or are a current resident moving across town, Virginia Estates has the best local Buckingham Realtors available. They will help you step-by-step to first, find the best home or property for you and then, to smoothly secure and close on it. 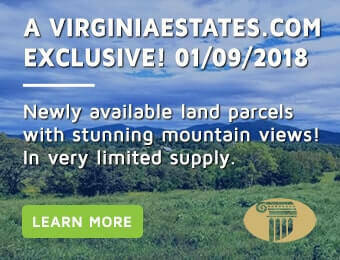 Buckingham offers great opportunities for an affordable yet beautiful lifestyle, and Virginia Estates is eager to help you take advantage. Situated on the James River, just south of Charlottesville and west of Richmond, Buckingham County offers a great mix of rural and small towns for individuals and families seeking to find a great home or property. Although, Scottsville is located in neighboring Albemarle County, many residents are drawn to the nearby northern area of the county which feature wonderfully restored stately homes, a short drive from a growing community with exciting entertainment, dining, and cultural opportunities. Others prefer the rural lifestyle, and are able to pursue it in style, be it on a working farm, an expansive estate, or in a tucked away woodland home.